for $259,000 with 4 bedrooms and 2 full baths. This 1,644 square foot home was built in 1987 on a lot size of 0.2890 Acre(s). This beautifully maintained, turn key cape cod is located in the heart of Midlothian in an award-winning school district. The home's open kitchen is PERFECT FOR ENTERTAINING. The kitchen features stainless steel appliances, tons of storage, custom cabinetry, recessed lighting & a large skylight. Richly colored, scratch resistant & easy to clean, laminate wood floors can be found throughout the downstairs. The entire house has been freshly painted in neutral colors. The house features 4 large bedrooms & 2 fully updated bathrooms. GREAT FOR OUTDOOR ENTERTAINMENT w/ beautiful stamped concrete patio, brick wall & 8-foot outdoor brick fire place. Bonus finished room above the garage perfect for man-cave, movie space, or play area for children. 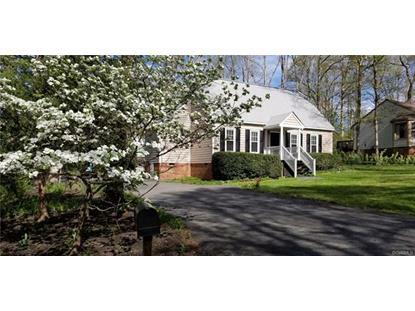 The home has a new 50-year architectural shingle roof w/ transferable warranty. A LOW MAINTENANCE exterior w/ vinyl siding, a large detached garage w/ plenty of extra storage space for your tools, seasonal decorations & yard equipment. An oversized driveway w/ extra parking space for a boat or RV & a well-manicured yard. So close to shopping, but quiet & friendly streets perfect for strolling. Come see this move in ready house before it's gone!